So lets say you make a 40,000 piece jigsaw puzzle from wood by hand, I would seriously thing twice about the choice of how you display it! 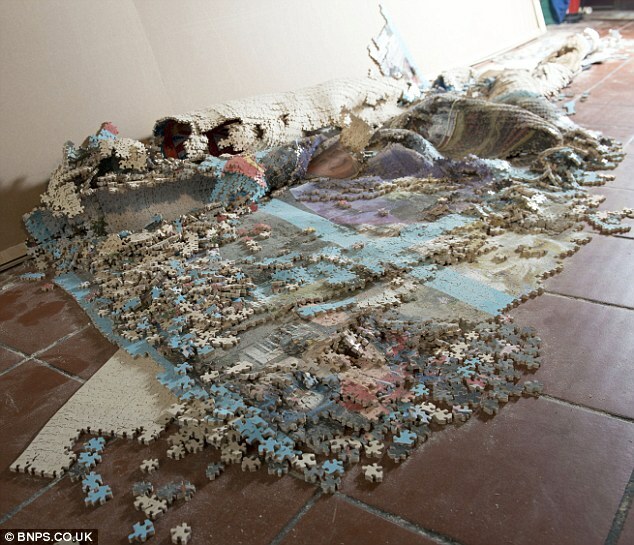 These pictures show the wince-making moment that a world record 40,000-piece puzzle crumpled and collapsed to the floor, shortly after its creator had spent five weeks putting it together. 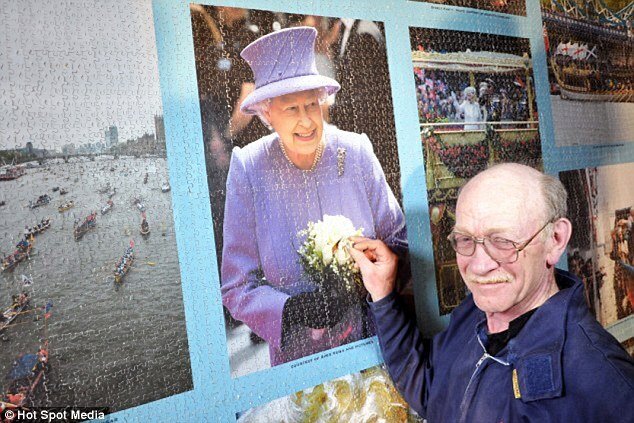 Craftsman Dave Evans, 63, of Weymouth, had just submitted his bid to the Guinness World of Records for the world's largest jigsaw with his hand-cut montage of the Queen's Royal Jubilee when it fell apart. Now he is racing to put it back together again by Wednesday so he can still display it at a long-planned exhibition at the Queen's Sandringham Estate in Norfolk. 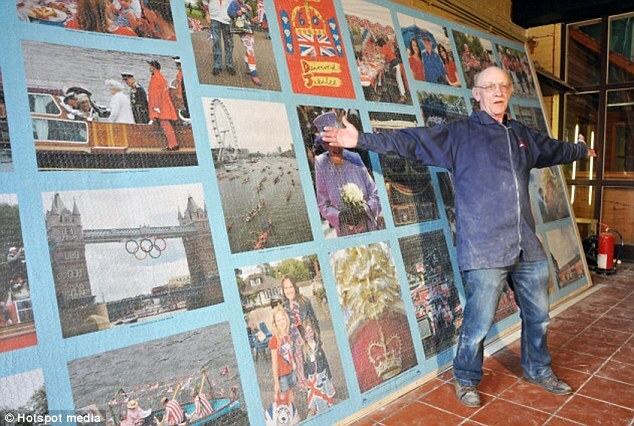 Last Wednesday, Mr Evans - a professional jigsaw-maker who had spent 200 hours cutting the puzzle before putting it together - had put the final piece into the jigsaw in front of a cheering crowd. 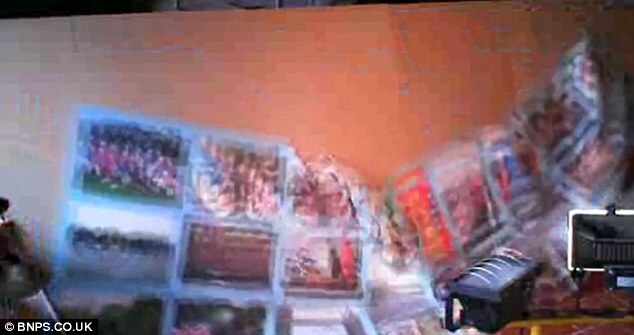 But the following day, his studio's webcam caught the awful moment when the puzzle, which was adorned with a 'Please do not touch' sign, collapsed as he was adjusting it. 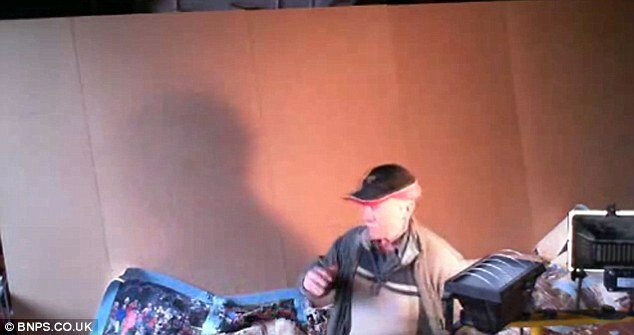 The 19ft 6in by 8ft puzzle had been resting on a huge frame that was tilted at an angle to keep it safely up his workshop, and Mr Evans had removed the wooden baton it was resting on (the same baton he is seen holding in the footage) to adjust it slightly when a passer-by dropped in to ask for directions. Mr Evans said: 'I came in the morning after finishing it and noticed it had slipped downwards slightly as the floor of my workshop is on a slope. 'I thought I had better adjust it to stop it falling completely, so I started to gently move it, but a woman came in and asked about the shops next door. 'I turned around to talk to her and at that moment I must have pushed it too hard or something, because it suddenly came down as I took my eye off the ball. 'I had been streaming footage of me cutting the jigsaw on the internet as people were watching from all over the world and the cameras were still recording. 'So it captured the moment it collapsed. 'It seemed to happen in slow motion. It’s a fully interlocking jigsaw so when it fell it almost rolled down like a carpet and came down in a huge pile on the floor. An understandably exasperated Mr Evans can be seen on the webcam footage trying to save the jigsaw and then throwing a wooden baton he was holding to the floor in frustration. His wife, Margaret, can be heard in the background saying 'absolute disaster' in a YouTube clip that is bound to go viral. 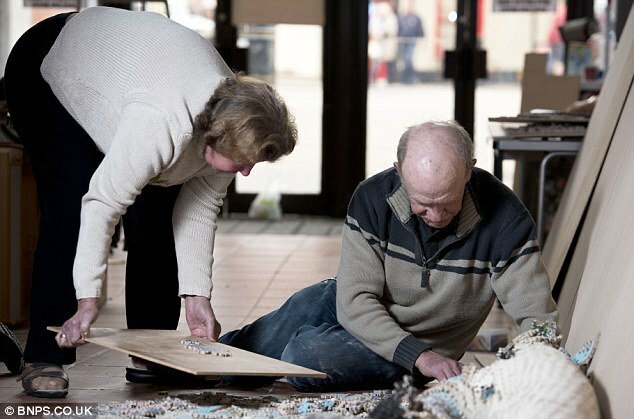 He is now in a race to get the puzzle put back together so he can still take it to Sandringham this week - the puzzle is due to be displayed in the Queen’s Ball Room alongside 100,000 cards she received for her Jubilee, and then auctioned off later this year for the Help For Heroes charity. 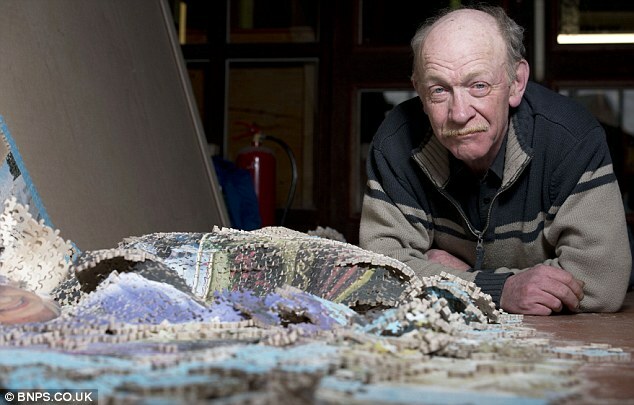 He appealed for volunteers to help him locate all the broken parts and arrange them in order, but at least did not need to worry about his world record bid - Mr Evans had already measured, photographed and filmed the puzzle and sent the information off to the Guinness World Records before it broke up. 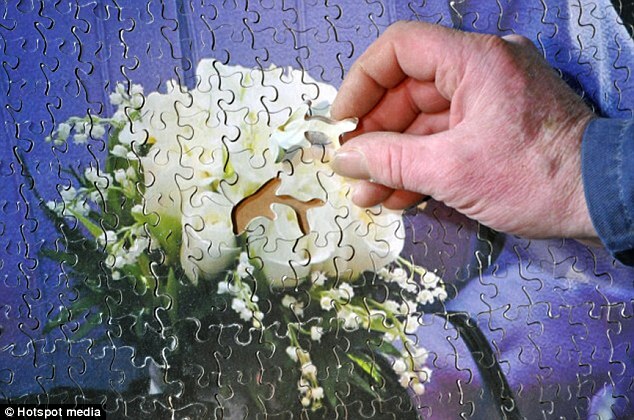 Mr Evans, who trained as an apprentice jigsaw maker for the renowned Victory Puzzles and has cut thousands of jigsaws during his career, had been planning a world record attempt for several years. 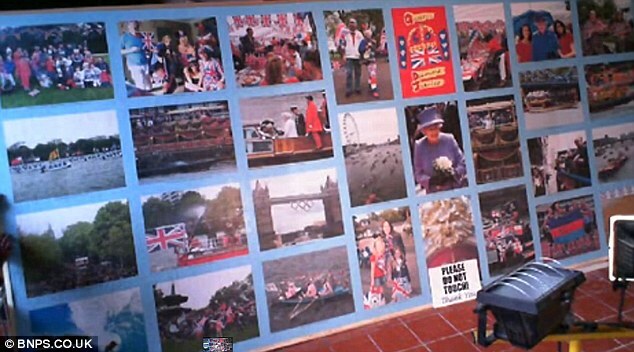 He only decided it should feature the Queen’s Jubilee because of the vast amount of colourful photos of the event. 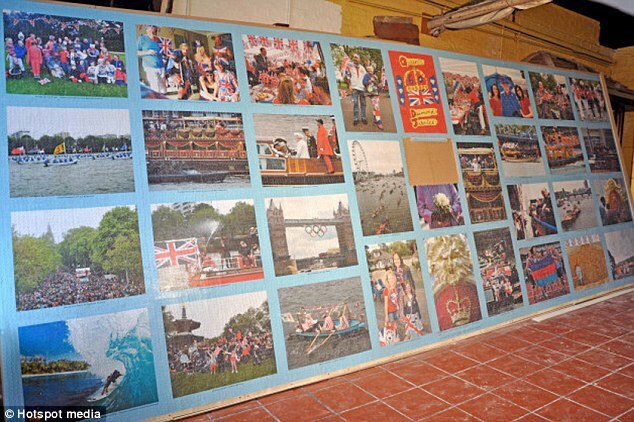 The finished version is made up of a montage of 33 pictures and covers an area of 150 square feet. I had to laugh at this....what kind of idiot spends that much time creating a puzzle of that monstrous size and doesn't glue or somehow secure it before trying to stand it up?!?! Well I just spilled wine on the 5000 piece puzzle we are working on and ruined 25 pieces... I am not a happy camper today!